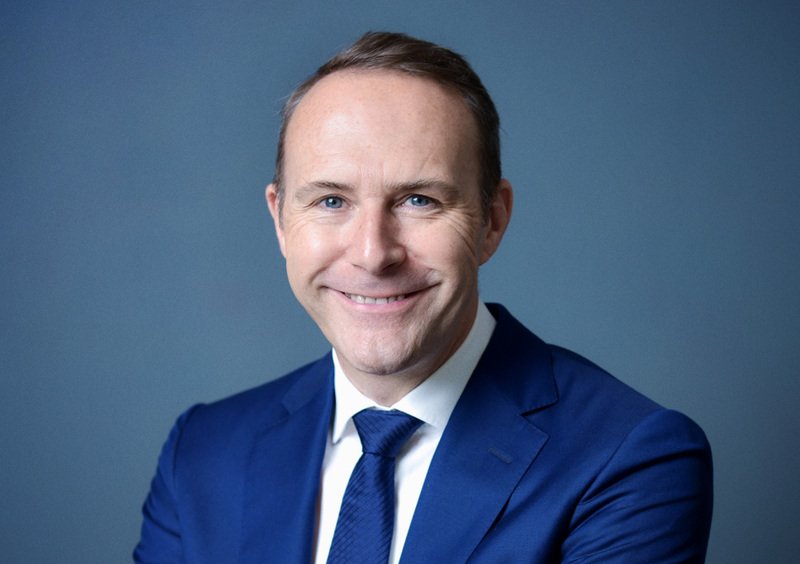 With over twenty years of invaluable experience in the luxury lifestyle industry, Perry Newton heads the Azure Ultra yacht programme as part of a broad portfolio of luxury products designed to meet the needs and aspirations of the discerning holidaymaker. Initiated in 2015, Azure Ultra is Perry’s latest venture, created to provide even greater access to a wide range of luxury vacation experiences offered by a leading network of lifestyle services providers worldwide. When he’s not conjuring up yet another creative project, Perry’s lust for life sees him pursuing motor sport adventures, including participation in the world-famous Dakar rally. Our expert Rosie leads the team of Azure Ultra charter specialists trained to design your yacht charter experience to perfection. With a positive, ready-to-help attitude, Rosie and her staff will accommodate all of your requests, whether this entails fully catering for your bespoke charter holiday package, organising a private yacht event to celebrate a special occasion, a corporate activity or team building programme on board. Rosie’s love of the outdoors, the active lifestyle, and her impeccable knowledge of the Maltese Islands and the Mediterranean region render her the ideal person to advise on all the possibilities for your charter holiday excursions and itineraries. "Azure Ultra aims to create on-board memories to last a lifetime. Put simply, we provide a yachting experience that is beyond ordinary. From the moment guests step aboard, they receive sterling VIP treatment all the way." 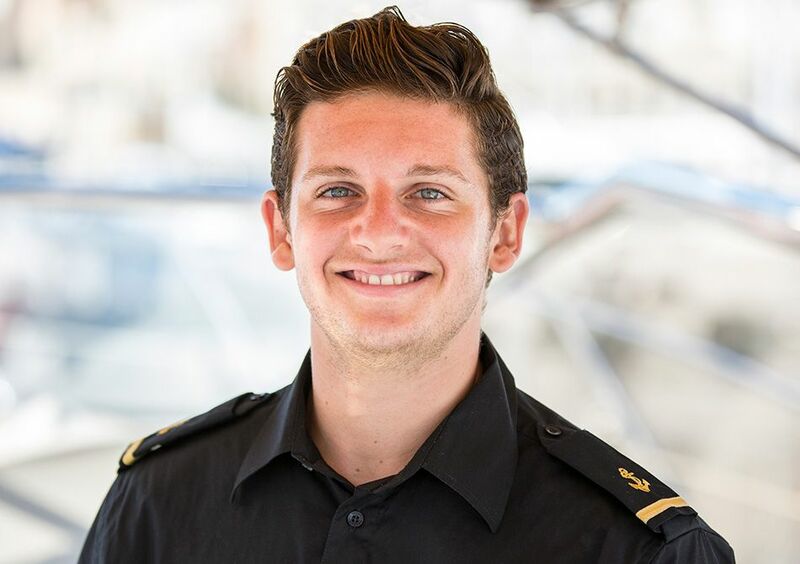 A passionate seafarer, Dominic moved to Malta six years ago to pursue a career in the yachting world. From the moment he joined Azure Ultra, he wholeheartedly embraced the work ethic and high standards set by the crew, which he personally always strives for. 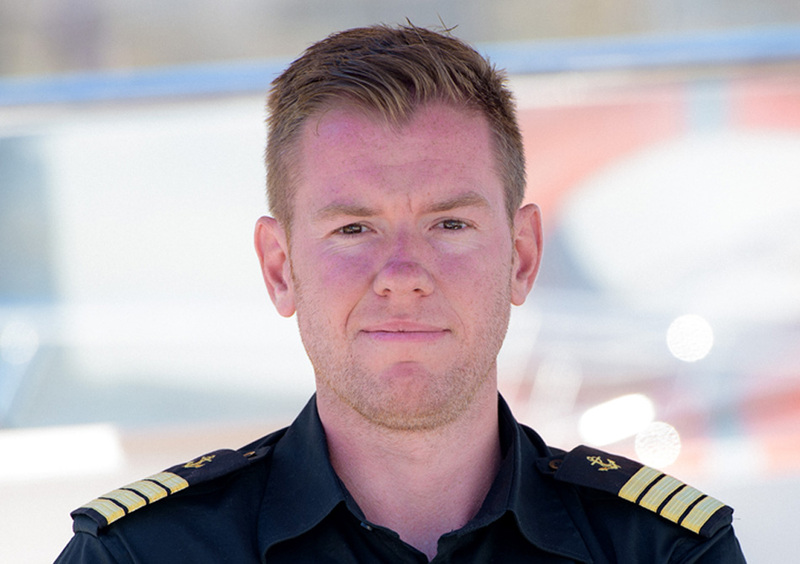 In his role of captain, Dominic will take care of all safety aspects on your behalf, allowing you to experience an unforgettable time aboard your luxury Sunseeker yacht of choice. When he is not doing anything boating related, Dominic enjoys a healthy dose of music, films and books. He also likes to stay active while nurturing his love of food. 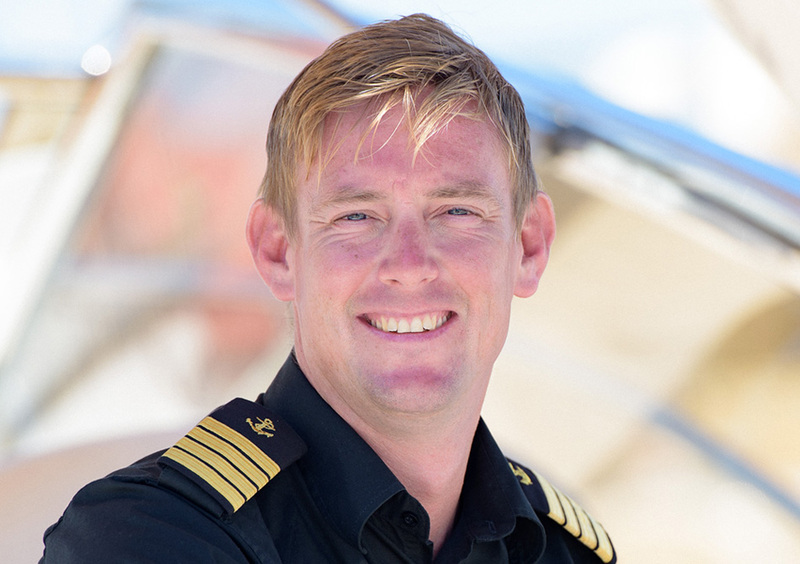 Captain Gary has extensive experience in the boating industry, having managed his own charter company in Ibiza for a few years. Fulfilling his dream role of captaining a Sunseeker upon joining Azure Ultra, Gary wholly endorses the brand’s values of outstanding customer service and teamwork. Always seeking to nurture his passion for being out on the water, Gary has found the ideal scenario in Malta’s rich history, unique scenery and idyllic weather. His satisfaction comes from ensuring that guests enjoy all of this while sampling peerless on-board service throughout their charter experience. In his spare time Gary likes to keep active, and has completed several charity cycling and walking challenges. He is also a keen explorer, and loves nothing more than to experience new sights on his travels. 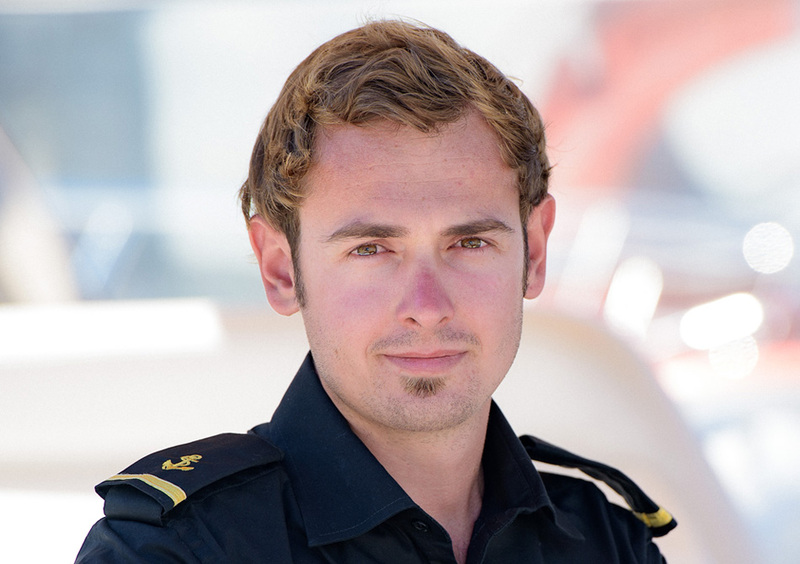 Having grown up by the sea, steward and deckhand Luc decided to forgo his degree in Systems Engineering, landing a dream job at Azure Ultra when the opportunity came along. He simply loves turning up to work aboard the sleek Sunseeker fleet, which he refers to as his “awesome office”. Azure Ultra allows Luc to explore new destinations and meet interesting people while going that extra mile to create a fantastic, memorable atmosphere for on-board guests. When he is not pursuing his diving and snorkelling passion, Luc is also a gaming, music, art and photography enthusiast. A highly motivated young man with a seven-year-strong background in hospitality, Gino occupies the role of deckhand/steward at Azure Ultra. When he’s not busy tying knots, weighing anchor or maintaining the boats in immaculate condition, he can be seen sporting his best manners and a warm smile to execute his steward duties to perfection. Gino loves to interact with guests, making sure they are absolutely satisfied with and eager to relive the experience. Being Maltese, he can vouch that the best island views are to be gained from the sea perspective, and champions the Grand Harbour as his favourite vista.